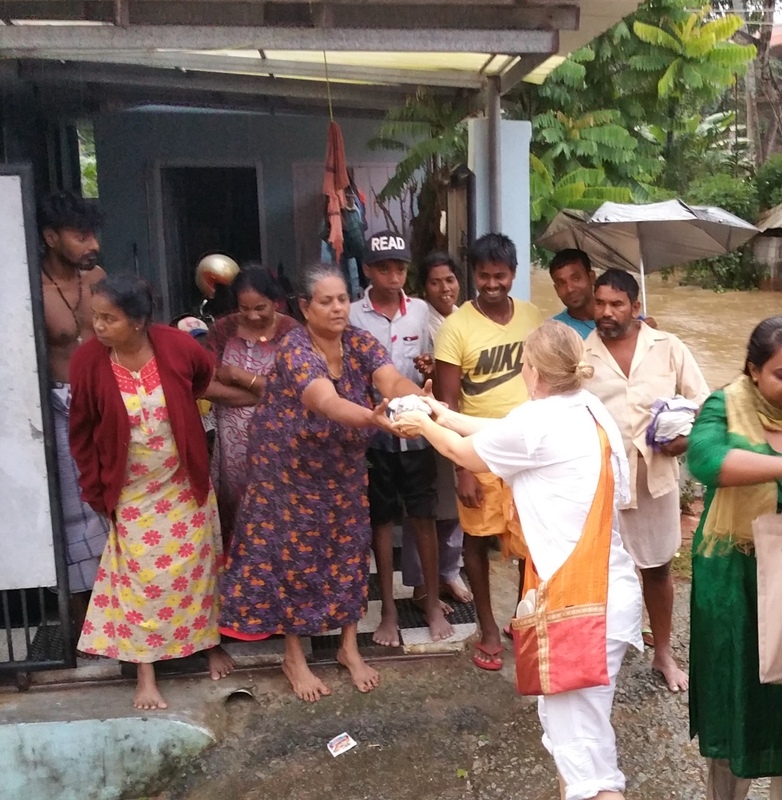 The Isa Viswa Prajnana Trust is reaching out to the flood-affected people in Kerala. Today we distributed hot food, water and bread to stranded houses, and arranging supplies for the camps in Trivandrum. We will be working especially in the slum areas, which are usually the most deeply affected by natural calamities. Kerala has been hit with torrential rains the past few days with flooding in most parts of the state. Hundreds of thousands have been evacuated. The State started receiving unusually heavy rains in the past week, and floods killed 39 over the weekend. All weather stations in Kerala recorded over 100 mm rainfall in the last 24 hours, with some like Kozhikode recording over 400 mm. The state opened 33 of its dams, a first in history. Kochi airport has been shut until Saturday and all 14 districts are on high alert. The rains are likely to continue till Thursday, according to the Indian Meteorological Department. Until today, Trivandrum city was not deeply affected, but now many parts of the city are also under 4 feet of water, and rising. Many neighbourhoods are being evacuated and put in camps. The rains are continuing. Jagadguru Swami Isa has urged all to get involved in the relief effort. Today, in an emergency meeting organized at the Isa Viswa Vidyalayam, he reminded us that those in the Grahasta Ashrama (householder stage of life) have a great responsibility to serve the other three stages of life by providing charity and material support to those in need.